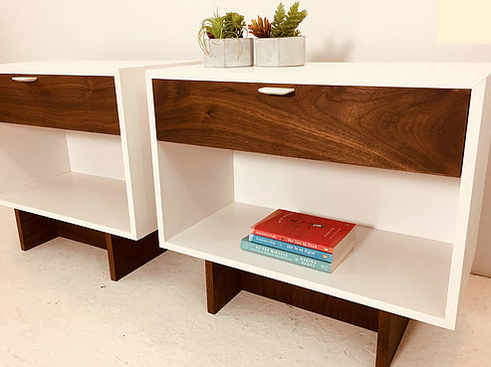 Located in Halifax, Nova Scotia, RELOVE is a furniture design company that creates furniture with all the components of true love; respect, passion, kindness, and beauty. Steve Anderson opened the online furniture store in 2013 from his passion for design and woodworking. His respect for the planet moulded the design process to become zero-waste. This is done by "upcycling" salvaging, reusing, and composting materials. Salvaged materials and "mid-century modern" furniture are adopted and bathed in new paints, bandaged if broken, and moisturized when stiff. They are not discarded in a landfill. Steve sees each piece of furniture through realistic, rose-coloured glasses that magnify their value and honor their past home lives. They are loved rawly until they regain confidence to be used again. 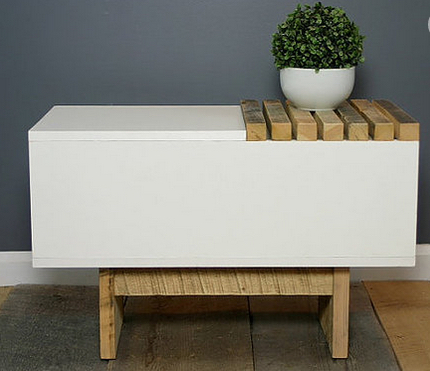 RELOVE has three zero-waste furniture lines. The first is labelled “Vintage and Upcycled” which includes pieces that are restored, rebuilt, and restyled to have a new unique look. This involves lacquering, polishing, reupholstering, repainting, or rebuilding furniture. The designer's second line, "Rebuilt", assembles salvaged materials to create completely new furniture. They use softwood, hardwood, melamine (a type of plastic resin), medium-density fibreboard (MDF), and plywood. These are all custom pieces. 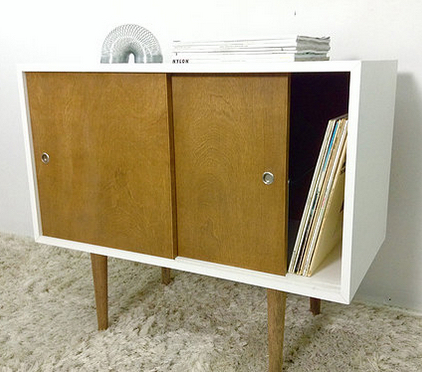 RELOVE's last furniture line is called "Retrofit", a cool name for cool new pieces. 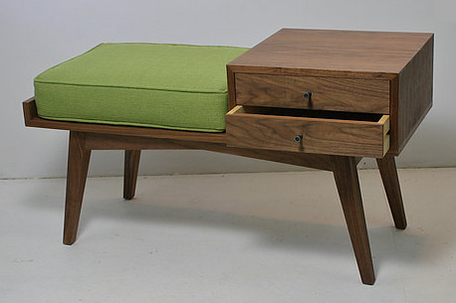 Steve uses new wood and metal materials to create fresh, mid-century modern pieces. These are also custom built and are designed to meet his clients' needs for practical, contemporary designs. RELOVE is a compassionate company that will match you with your dream furniture, free from dirty secrets of waste. You can trust that RELOVE's furniture is honest and long-lasting. To learn more about their impressive designs, please visit RELOVE. Researched and written by Kate Macmillan studying at Dalhousie University in the Bachelor of Community Design program.